Bring the warmth of Durrat Al Riyadh Resort & SPA to your wedding day or host a successful meeting and conference at any of our event venues; timeless and fit for any occasion. 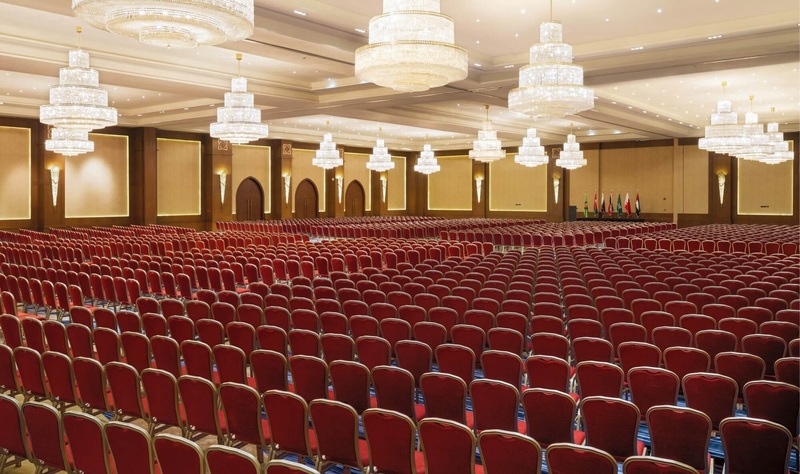 Add a touch of glamour and style to your experience as you choose between the Grand Durrah Hall, eight meeting rooms or stunning outdoor spaces, perfect for soirees, corporate meetings and exhibitions. Our dedicated team of professional and engaging event specialists will orchestrate every detail to perfection. To complete the experience, Durrat Al Riyadh Resort & SPA also presents gracious service and world-class dining. 2400sq. meter pillar less ballroom as well as four bridal suites. The ballroom is divisible into four smaller rooms utilizing the air wall dividers. Seating Capacity: 1500 seated dinner and 2200 theater style. Function 7 days a week from 8:00 to 22:00 for meetings, trainings, interviews, workshops etc.